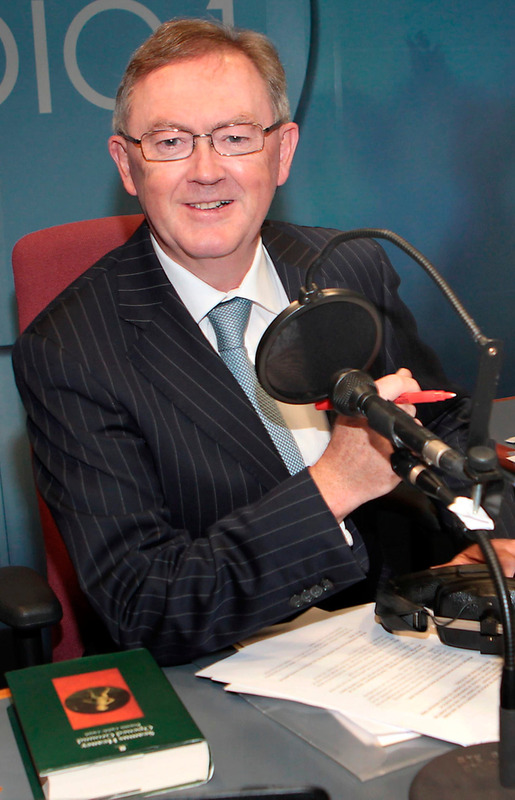 RTE's top current affairs presenter Sean O'Rourke has confirmed that he will be taking the rest of the summer off to "recharge the batteries" from what he called an enjoyable but "relentless" job. And one man who knows exactly how he feels is veteran broadcaster Gay Byrne. 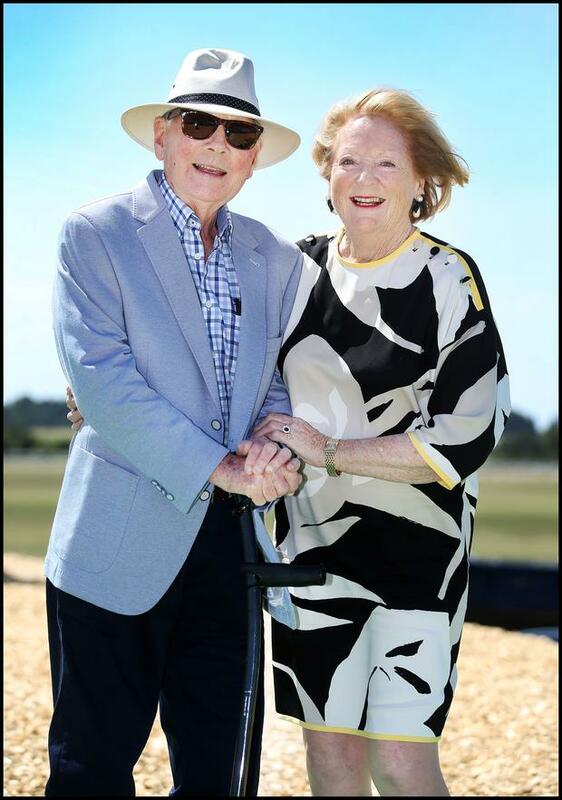 Speaking to the Sunday Independent as he enjoyed his annual trip to the Dubai Duty Free Irish Derby at the Curragh racecourse, Gaybo said: "You can understand why people take months off to be with their wives and family, on the understanding that things are good." The former Late Late Show host said he wished he had done the same. "As far as I am concerned, and I can only speak for myself, I enjoyed every moment of broadcasting that I did, but I should have spent a little more time with my family and taken a little more time off when I was in the best of health." Mr Byrne, who is receiving treatment for cancer, said it "seems to be working, in that they tell me I am making progress". Looking splendidly dapper in a light blue blazer and shades, the only telltale sign of his recent health battles was a rather elegant walking cane. With his wife Kathleen alongside him, he said he was feeling no physical discomfort: "It's been quite good so far. I don't experience any pain - it's all just general disorder. Having enjoyed robust health for 83 years, you wonder what the hell is wrong with you. "But there's no point in indulging in that because they don't know. And I didn't." Mr Byrne added: "We've heard it five million times from our parents over the years that the most important thing is your health and they were right. "It's worth more than every penny and anything else." The Meaning of Life presenter was enjoying a sit-down meal with 335 other privileged guests at the vip pavilion tent sponsored by Dubai Duty Free. Lucky invitees enjoyed a champagne reception, entertainment by a string quartet and access to a luxury hair and make-up room and a spread of Middle Eastern-inspired starters, beef and lemon sole. Other well-known faces at the races included model agent Celia Holman Lee, Annette Rocca, Minister of State for Higher Education Mary Mitchell O'Connor and former tanaiste Frances Fitzgerald. Former TV presenter Anne Doyle made her annual pilgrimage to the Kildare racecourse and said she was enjoying the sunshine. Speaking about her time since leaving RTE, she said: "I was born for happy indolence and what more could you ask for than a sunny weekend at the races? I've discovered I'm far better suited to amusing myself than milking myself." Speaking about the main event, executive vice-chairman and CEO of Dubai Irish Duty Free Colm McLoughlin said confidence was back: "This our 11th year sponsoring the event and it is the richest race of its type in Europe. I see great confidence in the racing industry." Former champion amateur jockey Nina Carberry joined the judging panel for the Dubai Duty Free Best Dressed Lady competition won by Regina Horan, from Malahide, Co Dublin, who was rewarded with a luxury trip to Dubai for two, including flights and accommodation at the five-star Jumeirah Creekside Hotel, a €1,000 spending spree at Dubai Duty Free and a stay at The K Club. In the blue riband race, it was a triumphant and historic day for the O'Brien racing dynasty. Joseph O'Brien trained the winner, Latrobe, ridden by brother Donnacha, who said: "It's incredible. It's not really sinking in yet." By Craig Simpson, Press Association Kevin Clifton has said he has “struggled” with media attention and his personal life. By Craig Simpson, Press Association Netflix have released the trailer for a series which explores the story of the Central Park Five. By Emily Chudy, Press Association Rahul Mandal, the winner of the ninth series of The Great British Bake Off (GBBO), thanked his colleagues for their friendship as he posted an Easter cake photo on Instagram.